Another 13 wins & 20 nominations. 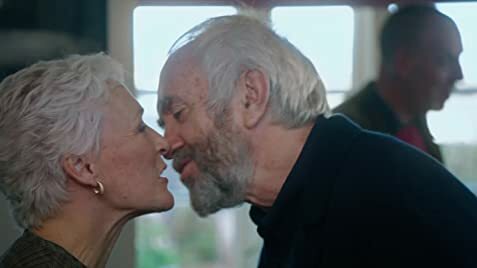 The acting of Glenn Close is outstanding. I am so glad she gets nomination Academy Awards best performance by an actress in a leading role. It seems she skimps on her emotions on the screen, much time she keeps silence. All this makes a strong impression. Let she will win. Shot over a period of 32 days. Joan Castleman: I am a kingmaker. When Joe and Joan are in the study in Connecticut, 1968, there's a view of the sea through the window. But the waves don't move at all during the shot.